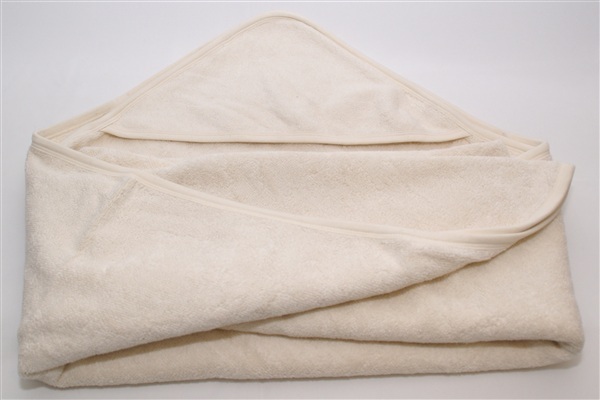 Wonderfully soft baby and children's towel with hood, made of luxury thick terry cotton of 100% organic cotton, GOTS-certified. The bath cape is by Bo Weevil. 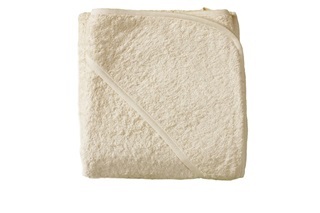 Made of naturel terry toweling and finished with a beautiful natural colored piping. 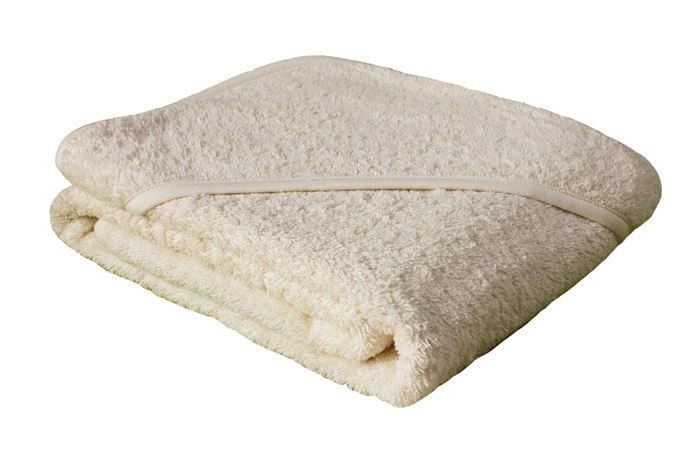 The towel is square, 100x100 cm, with an integrated hood in one corner. Also great to use as a warm baby wrap. 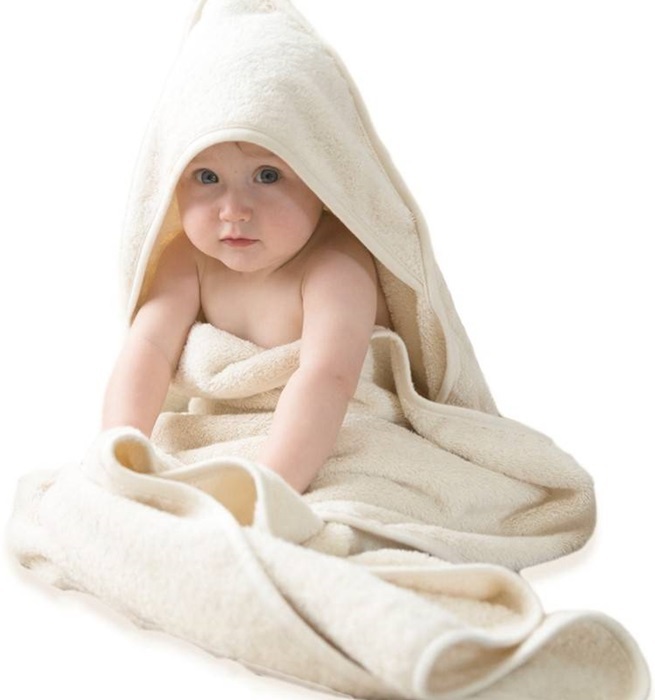 Due to the large size, the towel can be used for children up to 6-7 years. 100% organic cotton. Made in Turkey, GOTS certified. The cultivation of the cotton, and the dyeing and processing of the fabric, is carried out with minimum impact on the environment. Bo Weevil is the Dutch pioneer in the field of organic cotton, and launched the very first certified organic T-shirt a little over 25 years ago. 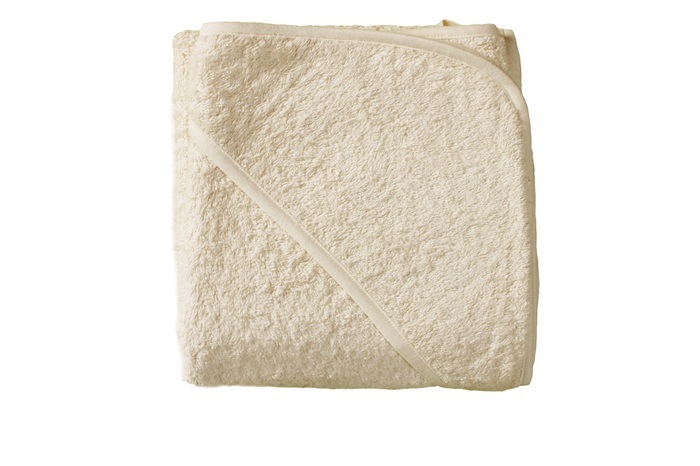 As a gift, the Natural Bath Cape is great in combination with the Oh Baby Baby bag. The bath cape fits in the bag perfectly. See bottom of the page for matching products.